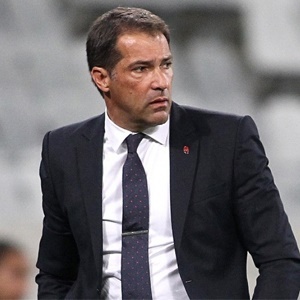 Cape Town - Platinum Stars have confirmed Roger de Sa as the club's new head coach to succeed Peter Butler at the Premiership side. Butler becomes the second managerial casualty of the season following Sammy Troughton at Free State Stars - only two games into the new season. According to reports in local media, the Dikwena squad weren't reacting well to the Englishman's management style and tactical methods, and after two consecutive losses without scoring - the former Botswana coach was replaced. "Platinum Stars FC is pleased to announce Roger De Sa as the club's new coach following the departure of Peter Butler," the club announced on Twitter. De Sa arrives with vast experience having coached Santos, Bidvest Wits, Orlando Pirates, Ajax Cape Town and Maritzburg United in the South African top-flight.